See Diary Part 6 here, or to access all entries, hit “The Diary” tab above. Man, trying to find something else that Richard Armitage has been in is tough. I looked at his IMDb page, and there were several things listed. I looked on Netflix, and they had North and South and that’s about it. I did see where he was in “Star Wars: Phantom Menace,” so I pulled it off the shelf and rewatched the stupid thing but with no luck. Not a fan of this movie. Only bought it because someone else in the house wanted it, and I actually watched the whole thing just to get a glimpse of a “Naboo Fighter Pilot.” I didn’t think about him wearing one of those blasted masks. Oh well. I see a show called Robin Hood on YouTube, but I’m not into Robin Hood. What’s amazing is that I think there are actually more fan videos on that show than on North and South. No, I can’t go there right now. I’ve already freaked myself out watching the P&P and N&S videos. I also found Vicar of Dibley on YouTube, but I really haven’t wanted to watch it. The title doesn’t sound appealing at all, and apparently, he’s in just a minor role. I’ve already been burned on Star Wars. Have to recover from that, and then maybe I’ll watch Vicar of Dibley. I do recognize this Dawn French from a comedy duo she’s in, but I’ve never been a huge fan of theirs. They’re funny but not that funny. Kind of crude. But then I wonder why I don’t like them very much since I like crude humor just fine. I can’t help it that I have a bit of an earthy attitude about all things including humor, but there’s just something about them that’s a bit of a turn off. Maybe it’s that they’re women and seem to try too hard. Man, I’m biased. Give those girls a break. I can’t stand it. I have to watch this Vicar of Dibley. If for no other reason than the thumbnails I saw of Richard Armitage are adorable. He doesn’t even look like the same person who was in North and South, and well, I guess he’s not. LOL! But he just looks so different, and I guess he actually smiles in this one. I mean really smiles. Not that coy little smile he had in North and South. Oh Dear Lord! I was right! He is so freaking adorable! Why have I never known who this guy is?! He is awesome, and I hate the word awesome, but I’m in awe! I didn’t think he could be any more appealing. I figured it was his character in North and South, but I had to watch something else! And here I am using all of these exclamation points, and I hate exclamation points! When I see them, I think of an air headed female with a high pitched, tinny voice who can’t think beyond the moment, and she’s just irritating. Will she shut up. No wonder I was taught to use an exclamation mark no more than once a year; less if possible. So why am I continually using exclamation points when I write about Richard Armitage! No, no, no. I’ve never been that air headed female who squeals and acts giddy. Can I start now? No, no. But he is so cute, and I think I actually got high when he said, “Well, there you go.” What the hell? It happened again! I’m watching, and then Richard Armitage’s character, Harry, makes a move on Geraldine. Man, that guy looks good in glasses!! And I love the name Harry! I’ve never really liked that name, but I’m diggin’ it now! And I guess I got over my fear of exclamation points. They are the only punctuation that fits! And I don’t care if I sound like a high pitched, tinny sounding air head who can’t think beyond the moment. I CAN’T think beyond this moment! It’s too good to think beyond this moment! And Dawn French. I love her. Good on Geraldine for getting her man! I love that, and how slick a move was that for Richard Armitage to be the love interest? Wonder if Dawn French had a say in that. Bet she did. Oh, I love so many others in the cast. 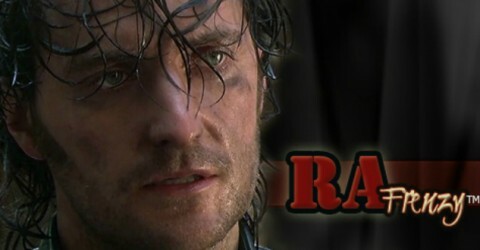 I’ll have to watch some more of this show whether Richard Armitage is in it or not. It’s on Netflix! But Richard Armitage isn’t listed in the cast!!! And apparently, I’m so over my fear of using exclamation points that I can easily use three at once! Even if this weren’t on Netflix, I’ve already ordered it from Amazon. Be here day after tomorrow! So that makes $50 I’ve now spent on Richard Armitage. But even if I hadn’t bought Vicar to replace my N&S watching, I’ve at least cut down on that. Now I only watch N&S about once a week and only the scenes I love. ROFLOL!!!!! ROFLOL!!! I’m sick. I am sick. There was a little clip on YT from something called Comic Relief Special recommended from watching Vicar of Dibley. Geraldine and Harry are married, and they participate in celebrity wife swap with Sting and his wife. That is the funniest thing I think I’ve ever seen. Dawn French is my hero. I love her. My favorite part is when she says she’s not a teenager and then breaks down screaming before she opens the door. ROFLOL!!!! Hmmm. I’ve watched that clip maybe five times now, and I know the timing of it exactly, and I STILL belly laugh at that part. This Dawn French is a genius. Must rewatch some of her comedy duo stuff. Well, the family watched Vicar of Dibley with me, and they could not stop laughing, and they LOVE Dawn French. SO thought the show was hilarious, and he and I have belly laughed repeatedly at the Comic Relief clip. 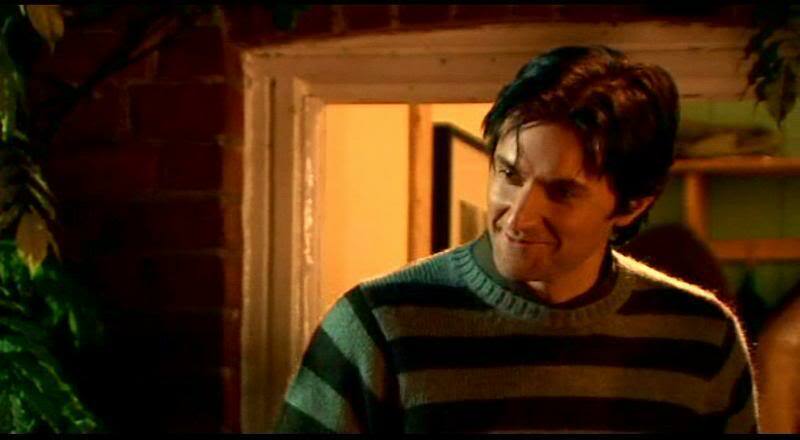 It was so good to watch something with the family that had Richard Armitage in it and they liked it! Made me feel less like a kid with a flashlight under the covers. SO did ask who the tall guy was, and I said he was from another show called North and South. To which he said, “You mean the DVD you got from Amazon?” I didn’t think he noticed that. He’s more alert about those things than I realized. He always surprises me because he never seems to notice details and yet he always does. Why do I always think he’s oblivious. He’s never been oblivious. I wonder if he’s noticed my new love of the exclamation point. See Diary Part 8 here. Very happy that you succombed to DoB! I do love Dawn French’s unselfconsciousness. And a couple of what, I’m sure, were not entirely scripted moments between Dawn and Richard. And then there is the faux-wedding scene, with the Dibley chaps. Hahaha. This post was hilarious. It gave me a strange sense of deja vu. Like I’d lived those scenes myself. Shortly after I first discovered N&S, I warned The Mate that if I ever got it on with RA, it wouldn’t even count as cheating. Because I’d be allowed to. However, I have one question: why is it so funny–in VoD–that his name is Harry Jasper Kennedy? A Few Words About SO How Does Someone Get This Gig?